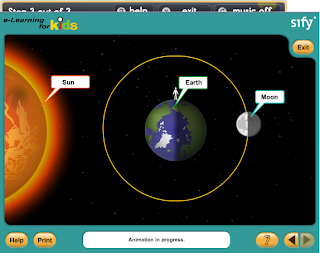 This site is an animation explaining why the moon has its different phases. Great visual for the students to use. Hi. When I click on some of your sites I get blank pages. Are some of these pay sites? No, all of the sites are free. Did you make sure you have java and flash running on your computer? This site is simple. 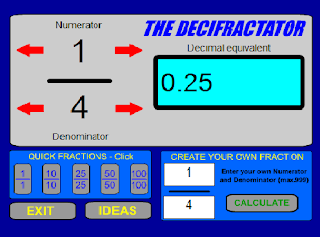 You can create any fraction you want, and it will convert the fraction into a decimal. 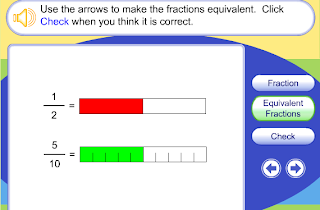 You can use this site to find equivalent fractions or determine patterns when changing values. Using technology with computers in the classroom. This site has 2 purposes. It will give you a fraction bar and you have to write the correct fraction to match. The second way is it will give you one fraction and you have to find the equivalent fraction. It is interactive and lets the student control fraction strips for a visual aid. 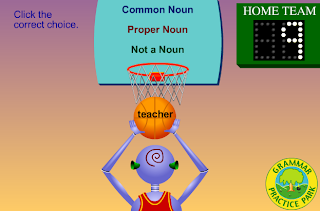 This game lets you practice common and proper nouns. At the same time it throws in words that are not even nouns so you have to pay attention to more than capital letters or not.